First of all, any LaTeX user might ask — why would I want to convert beautiful LaTeX into ugly Microsoft Word? The main reason is collaborators who want to use track changes. I recently sent a draft of a paper to some colleagues it two formats – .pdf and .doc. 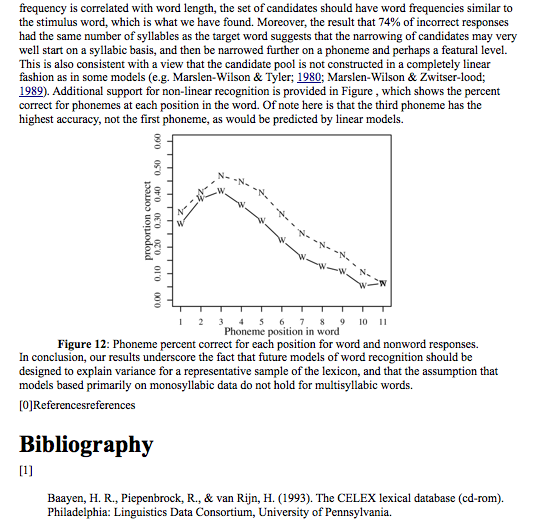 The pdf was formatted beautifully with LaTeX, but if your collaborators are not comfortable with editing a LaTeX file, it is difficult to make comments in pdf files, though there are some options for it (I like Mac OSX’s Preview application). By default, this creates a subdirectory called , with an index.html file inside it. Next I opened a new text document in Open Office, then selected Insert > File, and selected this index.html file. Presto! I had the document, complete with figures, tables, footnotes, and references. It wasn’t formatted as nicely as the pdf, but now my authors could insert their own comments and send it back to me electronically. One last step though. By default Open Office links to external figures instead of embedding them. To override this, select Edit > Links. Then highlight all the links, and click on the button to “break links”. Finally, save the document as a .doc file, and e-mail it to the collaborators as an attachment. I have to incorporate their comments back into my original LaTeX file, but this is much less painful to me than having to write the whole thing in Word to begin with. 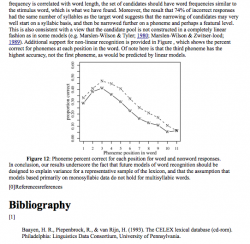 This entry was posted in (x)html, latex and tagged plastex, word processing. Bookmark the permalink. I would have given collaborators the original tex file and ask them to prepend all their comments with per cent (%) on a separate line below the originas content of specific interest. Let me know how that goes with collaborators who have never used LaTeX before. Recently I redesigned my resume in Latex. I liked it very much and thats how I always wanted my resume to look like. Simple, elegant. Since I had lots of publications to put I needed the power of Latex. Unfortunately recruiters do not accept PDF files for some reason, they always insist on Word format. I tried plastex. I am more interested in docbook format or xml. I have no idea how to use XML with Word Or OpenOffice. It requires a style sheet I think. Ultimately I had use Adobe Acrobat Professional to export the PDF to Word. I am still trying it with Plastex though.